If you hope to turn your legacy into legend on the Outer Rim, you’ll have to be prepared for anything. A true legend uses every tool available to them to survive another day in an increasingly dangerous galaxy, and make a profit along the way. Fantasy Flight Games is proud to announce the Star Wars™: Outer Rim Game Mat for use with Star Wars™: Outer Rim! Organize your games of Outer Rim with this 26" x 36" rubber, slip-resistant game mat, the perfect companion to the board game of mercenaries, bounty hunters and smugglers for one to four players! 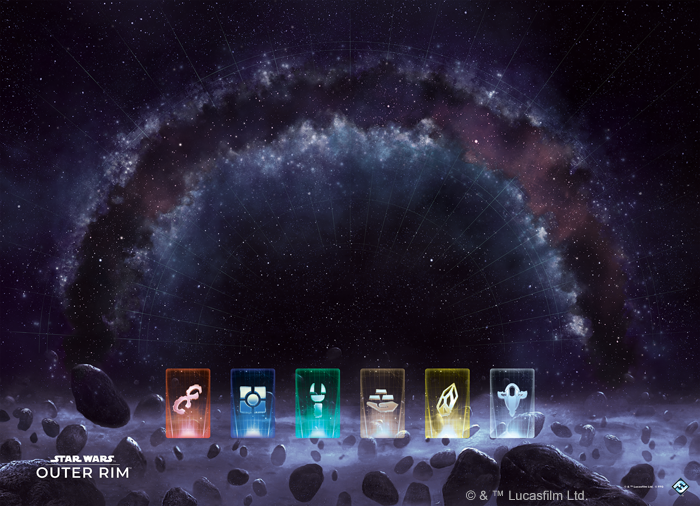 Become a legend with the Star Wars: Outer Rim Game Mat (SW05), available now for pre-order from your local retailer!